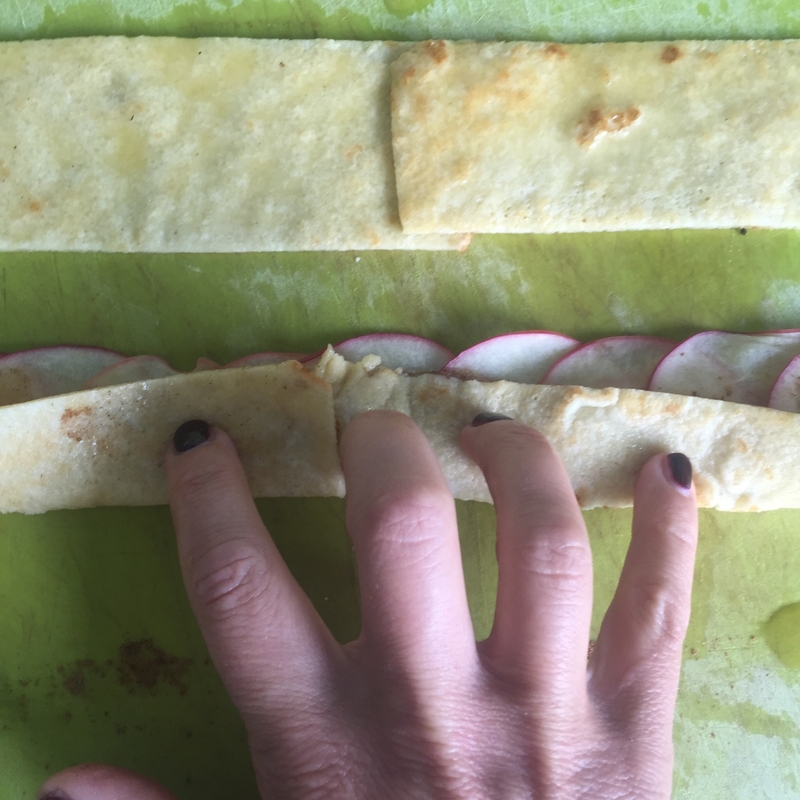 This recipe makes around 6 apple roses– but you could probably stretch it to eight depending on the size of your apples! I love them served warm with cinnamon cream. They contain hardly any sugar, are gluten free and actually grain free for those of you following a paleo/primal inspired diet. You will need a muffin tin and a frying pan. I know – but it’s actually genius! I also like to line the muffin tin with small circles of baking paper. Cut around a cup or glass top to get your circles. This stops any sticking. 100g Tapioca Flour (also called cassava) or arrowroot. 40g Brown Rice Syrup – I like to use around a teaspoon per rose. 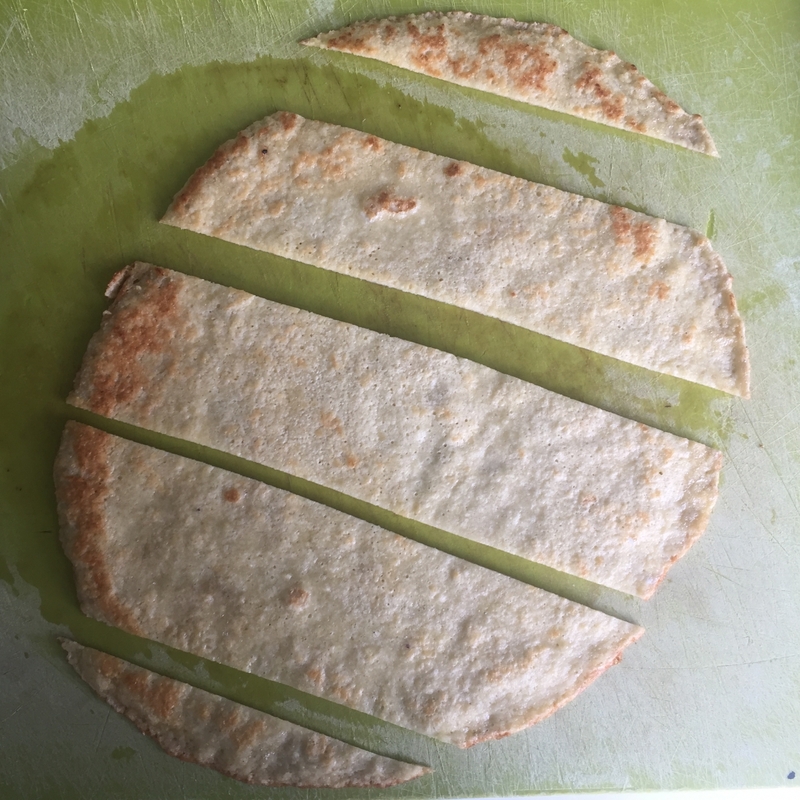 Make the pancake/pastry mix by placing the ground almonds, tapioca or arrowroot flour, the eggs and water into a large jug and mixing well. Heat the frying pan under a medium heat and add the butter, then pour in enough batter to make a thin pancake, swirl the batter around the pan, fry until golden on the underside and flip. Make as many pancakes as you can with the mix. 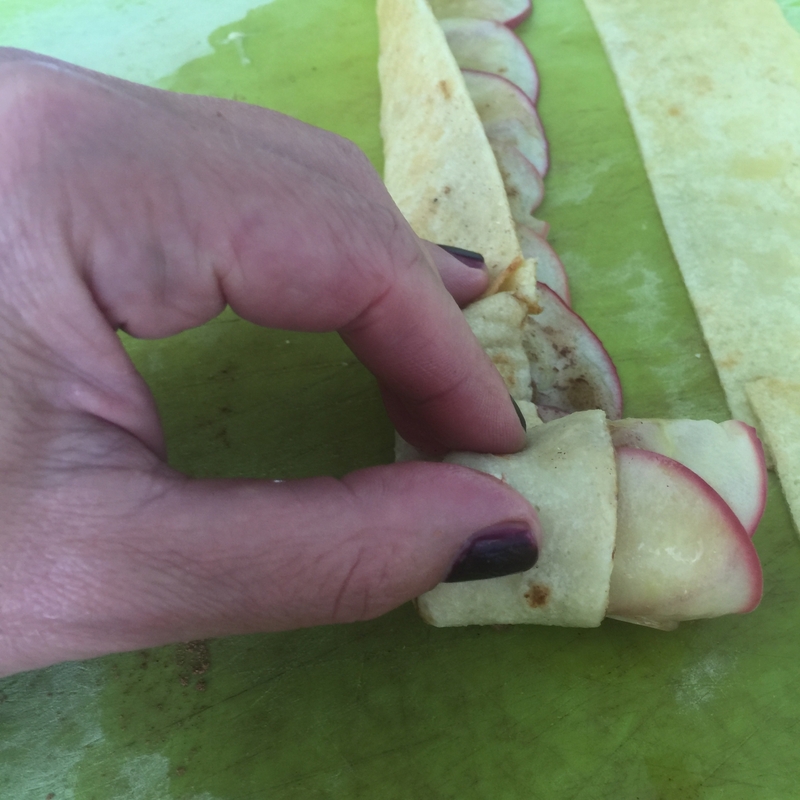 Cut your apples in half and then quarters (see pics) and slice very, very thinly. Place the slices in a large dinner plate and cover with cling film, pop them in the microwave for about a minute. You need them to be flexible but not overly cooked. Next brush the melted butter over each ‘pancake’ strip, then layer the apple slices with the skin edges hanging over the edge of the strips. Place the slices all the way along the strips overlapping. Spread 1 tsp brown rice syrup over the strip and sprinkle with a pinch of cinnamon. 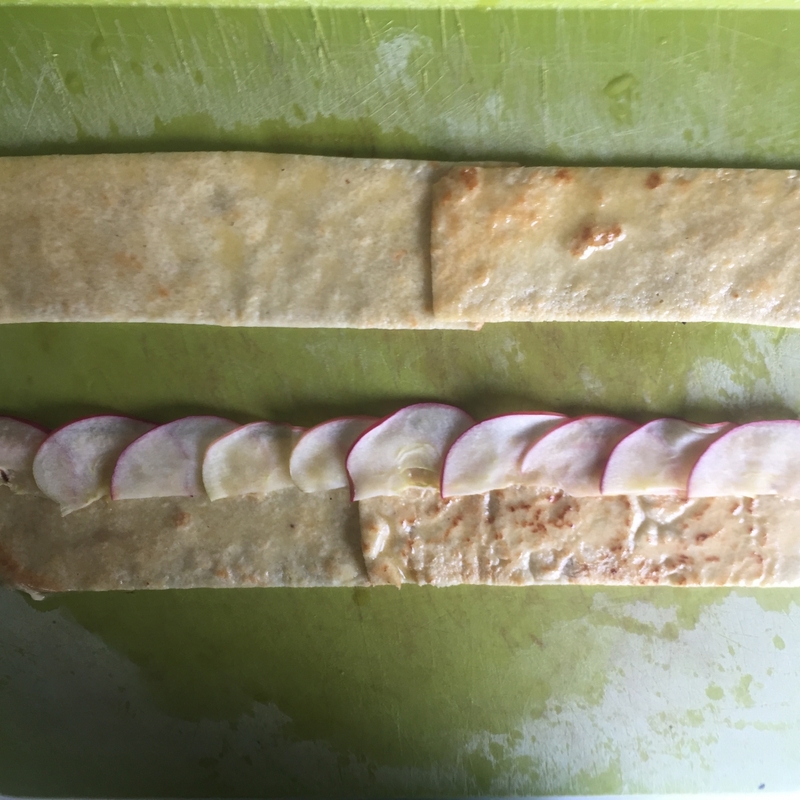 Then fold the bottom half of the strip up over the top half, making sure that the apple edges are poking out of the top. 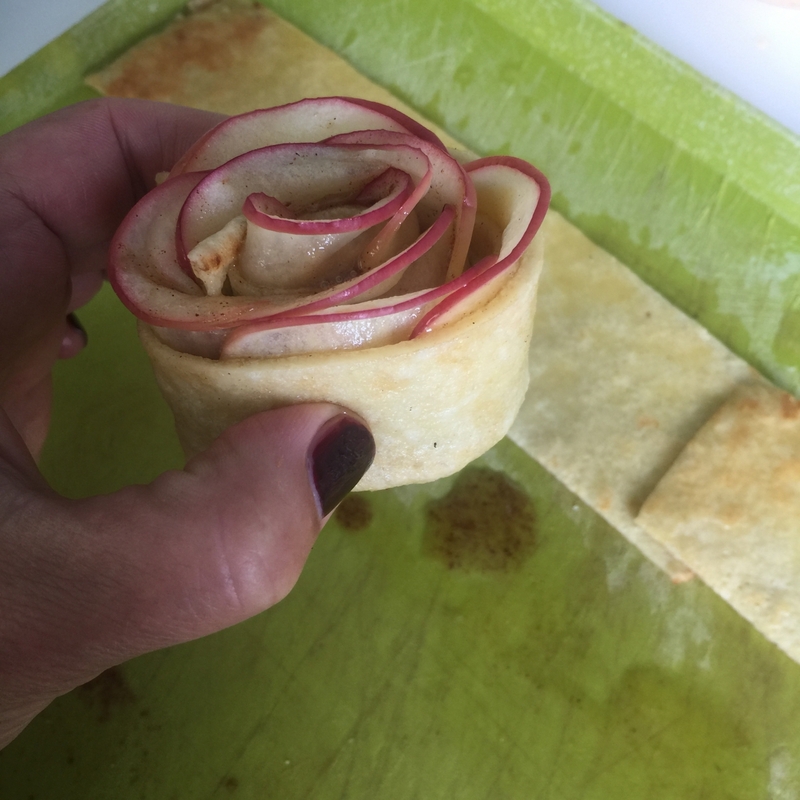 Gently roll up the pancake and apples together making your perfect rose shape and pop into the muffin hole. Repeat until all the strips are used and you have at least 6 apple roses ready to bake. Remove from the oven and leave in the cases for at least 5-10 minutes to cool. Serve warm with a cinnamon cream. *The tops will turn a dark brown colour, I usually make a hat out of a square of tin foil and place it over the roses half way through baking time, this prevents excessive browning but ensures that the roses cook all the way through!